Evolutionary Information Technology is a leading Information Technology services firm providing the full range of IT business solutions. Whether desktop support or cloud infrastructure, virtualization, or anything in between – Evolutionary IT can be your one stop shop for managed IT services. As an experience MSP (managed solutions provider), solve your technology headaches so you can focus on growing your business. Our expert engineering staff has over 30+ years of experience solving IT problems for businesses just like yours. Our managed services clients get our dedicated and proactive 24/7, 365 days a year support. We’ve got your back with full range of managed IT services — so you can focus on building your business. From small startups to Fortune 500 enterprises, Evolutionary IT has been offering outstanding IT solutions to businesses for over 15 years. Our far-reaching industry expertise can be your strongest asset and competitive advantage. Invest in IT that makes business sense. Go with Evolutionary IT. Backup is critical for the survivability of any organization in the face of today’s risks. Whether it is a natural disaster, cybercrimal attack or disgruntled employee – data loss is an ever present threat. Evolutionary IT provides full service backup and recovery to keep your organization safe from today’s threats so you can rest easy and focus on the success of your business. Many organizations don’t maintain internal IT staff or help desk. Evolutionary IT can provide this on demand IT expertise on demand. We serve as your on demand help desk on call 24/7, 365 days a year. We are your help desk on demand, actively keeping your technology working for you. Disasters are a reality that require planning and concerted effort. Nature and human induced disasters can post a significant threat to any organization that doesn’t plan to recover from them. Evolutionary IT will give you the people, process and technology to survive these supernumerary risks with our managed services disaster recovery and business continuity planning. You can rest easy with an expert partner in your corner. Today’s world is riddled with a infinite web of complex threats. Organizations face malware, APT’s (advanced persistent threats), and internal threats to name just a few. With the deluge of risks it’s important to work with a partner that will keep you covered. Managed Anti-malware, APT protection, advance UTM firewalls are among the many managed IT solutions we provide. Evolutionary IT has the defense in-depth solutions to keep you safe in the face of today’s ever-present threats. Most organizations have some IT presence in the world of cloud computing. Managing disparate cloud options can often be a tremendous technical headache. At Evolutionary IT we have the expertise to solve your cloud computing difficulties with our fully managed service cloud computing services. Got data Amazon AWS, Servers in Google Cloud Platform or even Microsoft Azure we have you covered with our managed service for cloud computing. 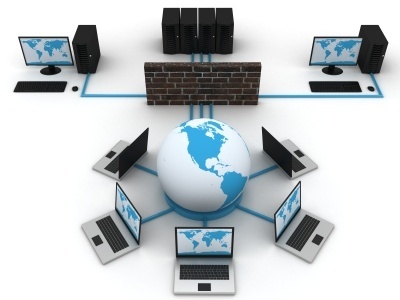 Your network, servers and desktops are critical to your organizations. Downtime isn’t just annoying – it has a significant cost and consequence. Many organizations don’t have the staff or resources to keep things up and running as the business requires. Evolutionary IT’s expert team can solve these IT/technology problems with our managed infrastructure and network solutions, so you can get back to running your business. Most industries have regulatory requirements that have significant complexity and headaches to their day to day operations. Compliance to SOX, MA Privacy Directive, HIPAA, HITECH or PCI doesn’t have to be a painful or expensive experience. Evolutionary IT has the expertise to provide you with full compliance as a service. Let our experts solve your compliance headaches. Interested to learn more about how cloud solutions can improve your business? Why not contact Evolutionary IT today, we are happy to help!